English master of the rolls; born in London 1824; died there March 21, 1883; youngest son of Zadok Aaron Jessel. Educatedat University College, London, and London University, he became M. A. and gold medalist in mathematics in 1844. He entered Lincoln's Inn in 1842, was called to the bar in 1847, and became queen's counsel eighteen years later. In 1868 he was returned to Parliament for Dover in the Liberal interest, and retained his seat until 1873. He won the attention of Gladstone by a speech on the Bankruptcy Bill in 1869; and in 1871 was made solicitor-general. In 1872 he was knighted. In Aug., 1873, when Lord Romilly retired from the presidency of the Rolls Court, Sir George Jessel was appointed in his place. He was also sworn as a privy councilor, and in Nov., 1875, became a judge of the Supreme Court of Judicature. It was when sitting as a judge of a court of first instance that Jessel showed his marked capacity as an equity judge. In a few months the whole character of the Rolls Court underwent a marked change. The prolixity of former trials was done away with, and the practise of the master of the rolls permeated the other courts. It was Jessel's distinction that he was at the same time one of the most erudite of case lawyers and also the most courageous of judges in handling authorities. 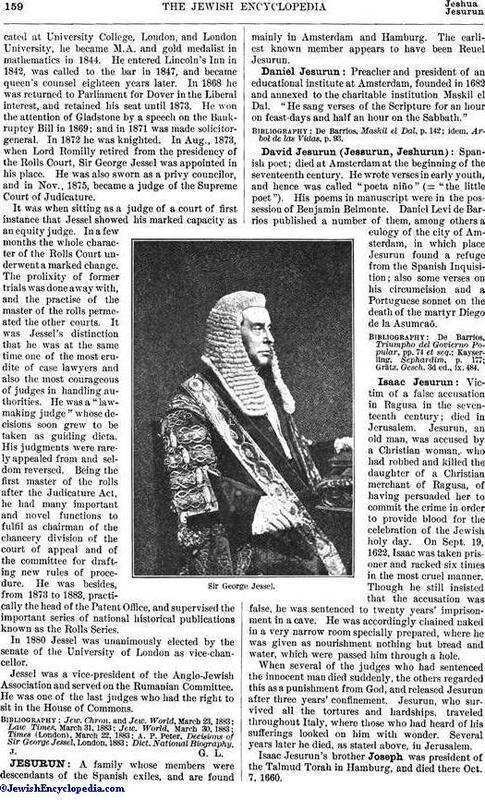 He was a "law-making judge" whose decisions soon grew to be taken as guiding dicta. His judgments were rarely appealed from and seldom reversed. Being the first master of the rolls after the Judicature Act, he had many important and novel functions to fulfil as chairman of the chancery division of the court of appeal and of the committee for drafting new rules of procedure. He was besides, from 1873 to 1883, practically the head of the Patent Office, and supervised the important series of national historical publications known as the Rolls Series. In 1880 Jessel was unanimously elected by the senate of the University of London as vice-chancellor. 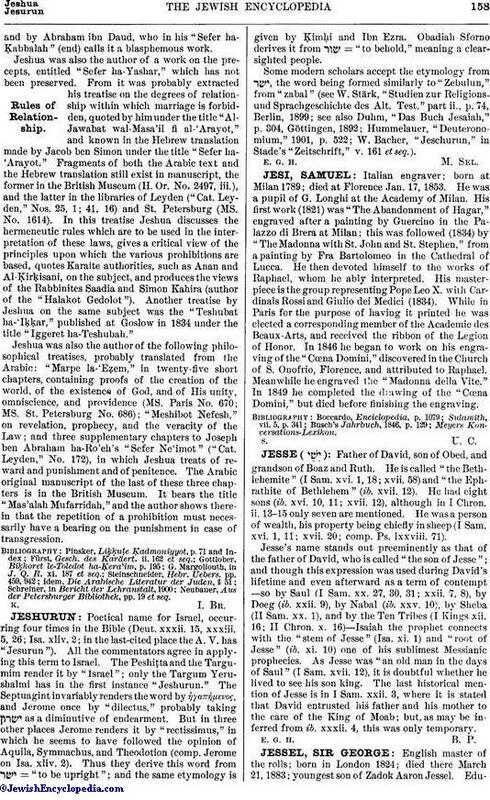 Jessel was a vice-president of the Anglo-Jewish Association and served on the Rumanian Committee. He was one of the last judges who had the right to sit in the House of Commons.